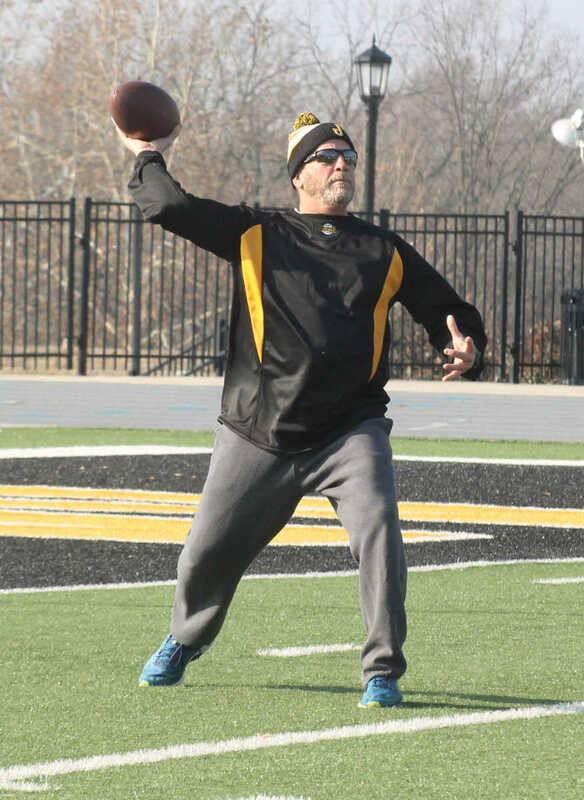 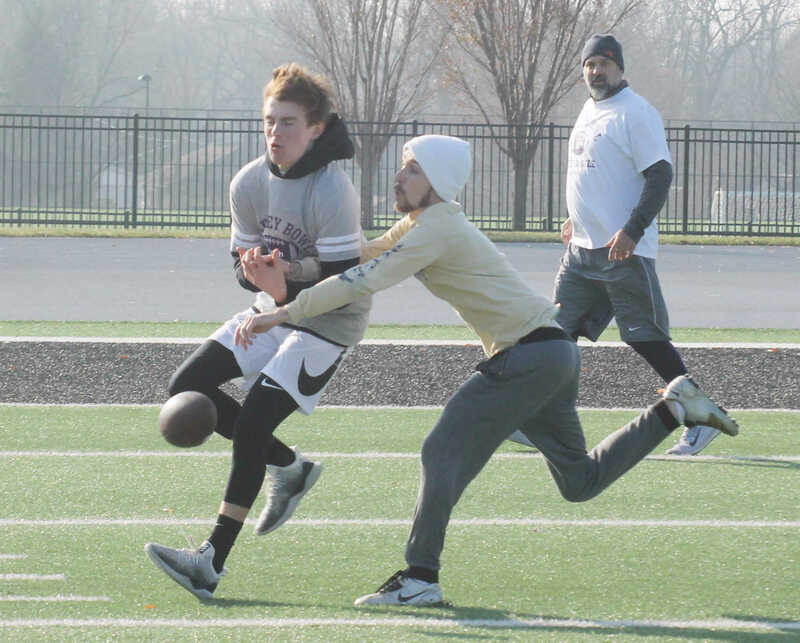 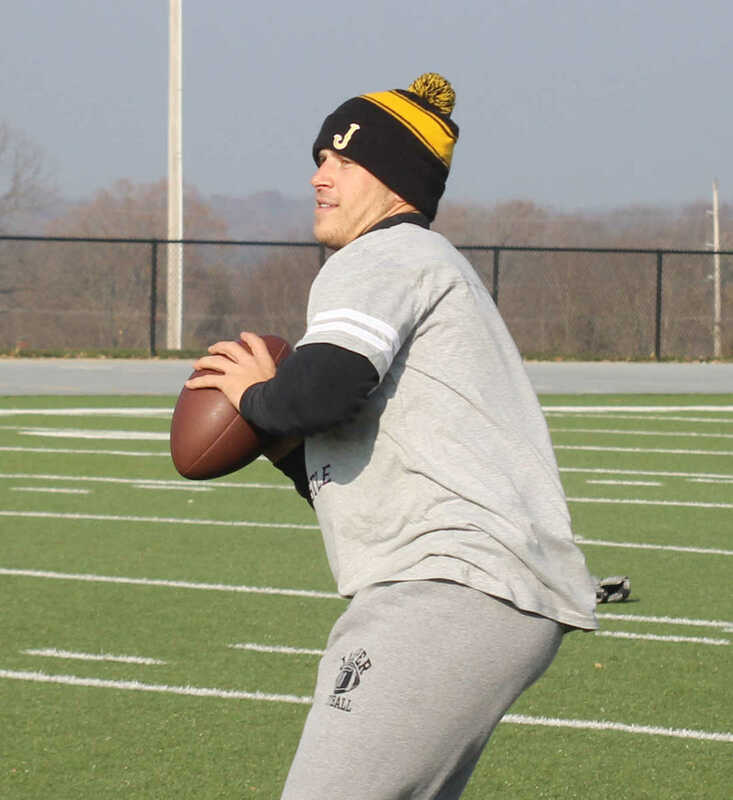 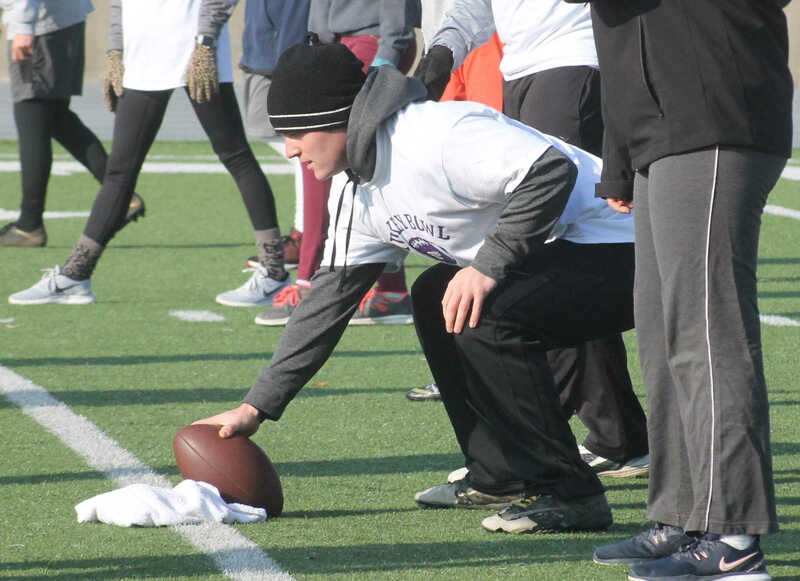 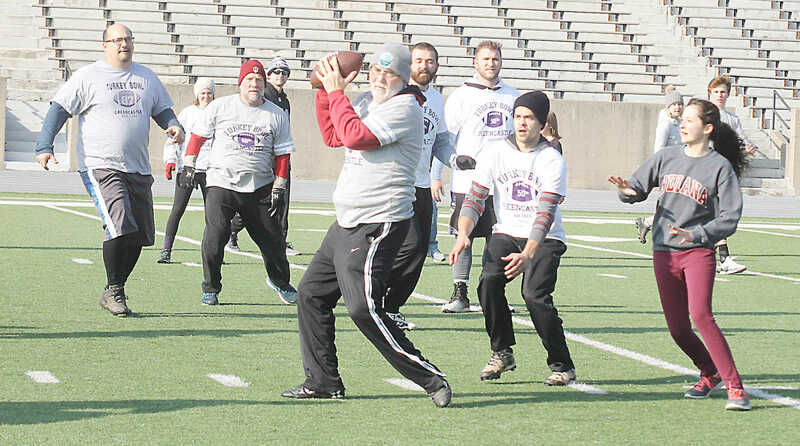 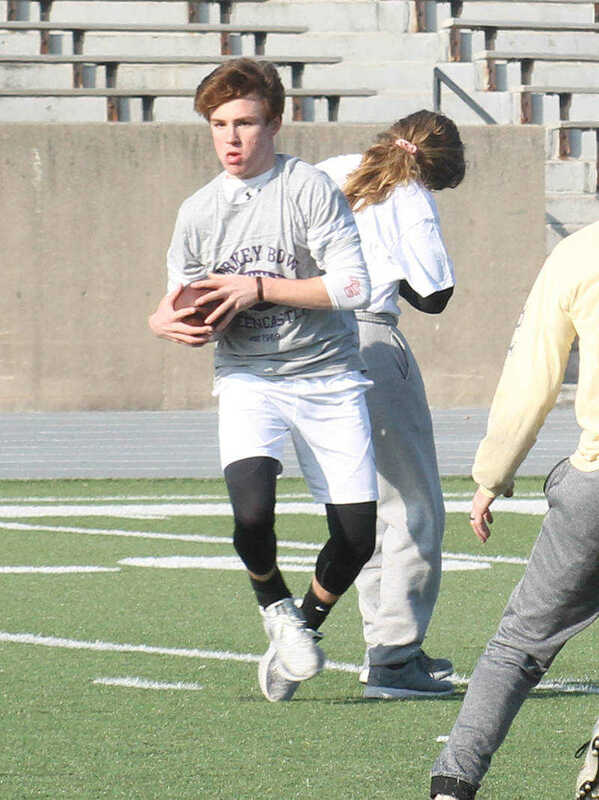 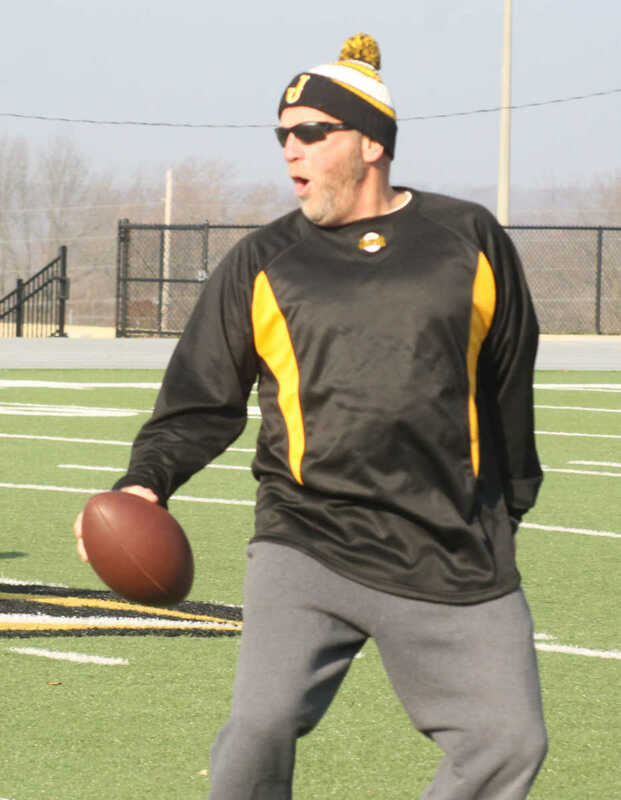 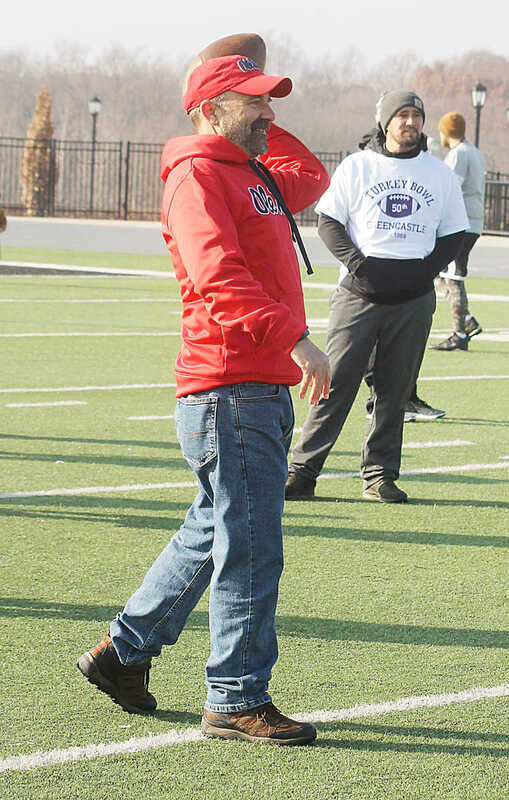 With 31 players ranging in age from 10 to 63, Turkey Bowl 50 was contested at Blackstock Stadium Thursday morning. 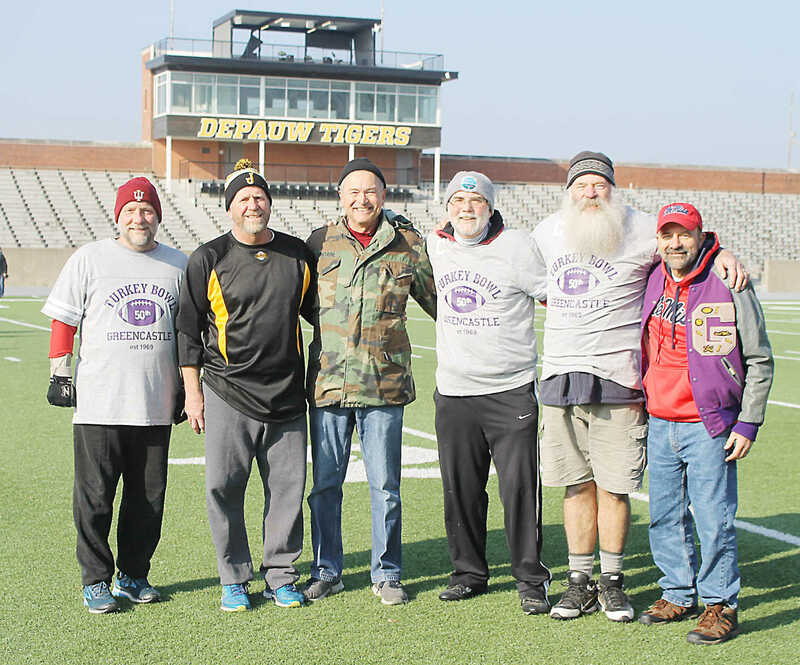 The game has been a tradition since 1969, when a group of friends gathered for a pickup football game on Thanksgiving morning. 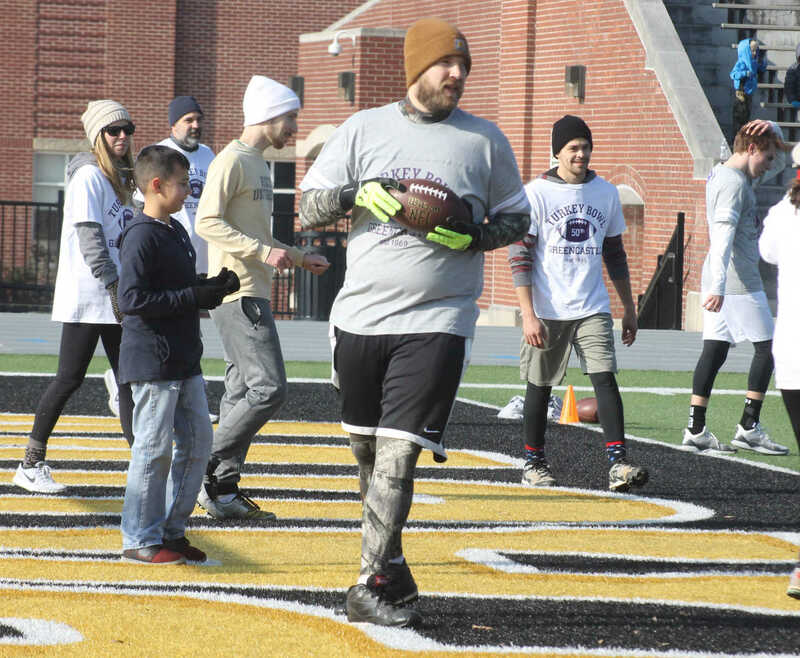 These days, the game is getting more formal recognition, with DePauw University granting official permission to use the field and Greencastle Mayor Bill Dory even proclaiming Thursday as Turkey Bowl Day in the City of Greencastle, an honor that was read by game co-founder Fred Green prior to the action.